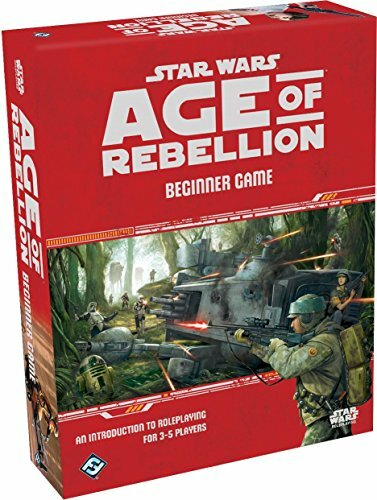 Board Game Basics – Demystifying Role Playing Games (RPGs) — GamingWithSwag.com - Dads By Day, Gamers By Night. Welcome to a continuing series where I demystify some of the trickier areas of tabletop gaming. Earlier I talked about the collectible card game juggernaut that is Magic: The Gathering, soon I plan to cover the world of miniature wargaming, but today I'm covering role playing games (RPGs). Having introduced a lot of friends who don't have a background in tabletop gaming to the hobby, I get asked about RPGs a fair amount. I grew up playing Dungeons and Dragons, so while it seems like second nature to me, I realize it can be a bit confusing to the uninitiated. So confusing, in fact, that the most common question I get asked is “what do you do in an RPG”! Well dear reader I'm here to answer your questions so prepare to be demystified! Role playing games are a genre of games that are more of an experience then a game. One player acts as a Games Master (GM) who essentially tells a story where they control the setting, the action, and all the characters except the protagonists. These protagonists are controlled by the other players and are often referred to as player characters (PC’s). There are also usually rules involving rolling various die to determine if actions succeed, so that games don’t degenerate into “I hit him” “No you don’t” “Yes I do”, etc. The flow of a typical game works as follows. The GM will start by describing the scene. They’ll tell the players what their surroundings are, what kind of action is happening around them, and what non-player characters (NPC’s) are in the area. After this players will tell the GM what they are doing and the GM will tell them the results of these actions. Usually, the GM has some sort of overarching story they’ve thought up to guide the players on, but if they are good at improvising and the players really like just role playing the characters they’ve built, they may just set the scene and let the players guide things. Pretty much everyone has read a book or saw a movie where they could relate to the characters or that inspired them to think of their own story. RPG’s allow you to tell your own story, whether it’s a grand quest or just the story of a character you’ve thought of. Even if you don’t have a great imagination it’s still fun to make a character who’s similar to your favorite fictional character and play them. There are also countless RPG settings and worlds to play in. Dungeons and Dragons is the gold standard, but if you don’t like fantasy there are plenty of others you can try out. 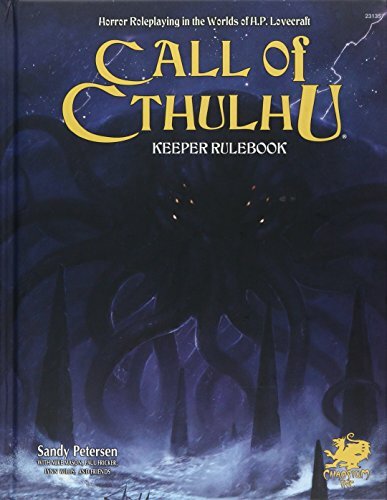 If you are into horror, check out Call of Cthulhu or one of the World of Darkness games. Sci-fi more of your thing? Try Starfinder or a licenced product like the Star Wars or Warhammer 40K roleplaying games. If you want to build your own world and just need a frame work, pick up GURPS! There are two answers to this question, I’ll start with the obvious one. The idea of designing a grand adventure or even just a character can be a little daunting to new players. There is a remedy to this though! Many RPG systems offer supplemental products called modules which are premade, ready to run adventures. All you need for these is a GM willing to make the small time investment to read the adventure ahead of time and you are ready to go. You can even change these up if there is something you don’t like. In a RPG nothing is set in stone and as the GM the players don’t know you just changed something on the fly to make things more fun and interesting! As for the players, if you are worried about creating a character most RPG’s have character templates in the main books to get you started. Just pick an interesting personality quirk and roleplay that, no need for an elaborate back story. Also, like I said earlier, you can just pick an existing character you like and role play them. No ones going to care if you're essentially Conan, just have fun! The other issue with role playing games is that the game part is usually not fantastic. The game systems behind a lot of RPGs ends up being players just rolling a lot of dice. This can be exciting in small doses, but after slaying your hundredth goblin and combat has started to take an hour, things can get pretty monotonous. The good news is that RPGs are very flexible and they don’t need to need to be combat heavy if the players and GM aren’t having fun with that. GM’s can fudge numbers to make combat go more quickly or players can just roleplay more and negotiate their way out of situations. However, if your group likes classic dungeon crawling, trap finding, hack and slash style adventures, there’s nothing wrong with that either! The cool thing about these games is that you can play them however is most fun for you! If this has peaked your interest in role playing but you’re still not ready to drop and cash on it, you’re in luck. Many publishers offer stripped down version of they’re games for free so you can try them out before buying a bunch of books. Depending on where your interests lie, you can check out Dungeons and Dragons here if fantasy is your thing, the World of Darkness here if you’d rather get spooky, or if you have an idea for an original setting or story and want to just run with it, check out GURPS here. Once you’ve decided to commit, I’d suggest just picking a setting that seems interesting and buying the basic books for that system (there’s usually a players guide, games master guide, and sometimes a monster/threat manual of some sort). If you don’t want to break the bank I’ve got a couple suggestions. 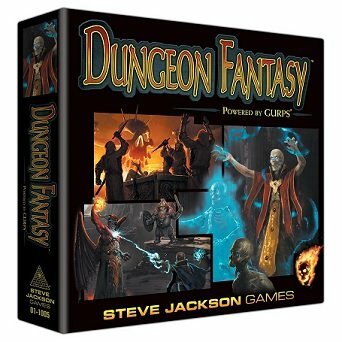 The first would have to be the Dungeon Fantasy box set for the GURPS system. I recently reviewed this one and was blown away by the amount of content you get for the MSRP of $59.95 (a little under $50 currently on Amazon). 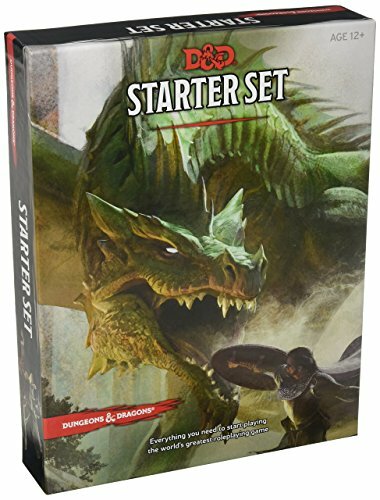 This literally has everything you’d need to play minus some pencils and paper, and the books are set up in a way that is very friendly to new players. If you are even more of a budget, you can pick up the game Fiasco and some dice for under $30. 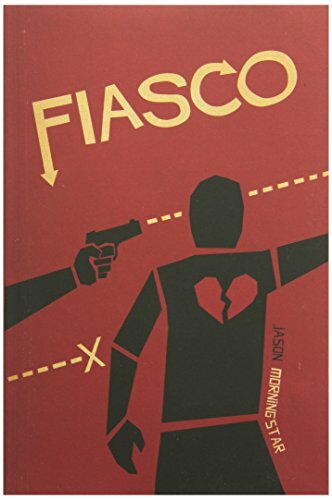 Fiasco is a pretty unique RPG where players are all characters involved in a crazy heist gone wrong. It’s pretty light on rules and easy to jump into. There is also no GM, as players all craft a story together and take turns setting up the scenes and playing NPCs, so if you are more interested in the RP part of RPGs, this is a good entry. The first real friend I ever remember having was a kid named Sean Nolan, who I met in the first grade. He told me about a game he and his dad would play called Dungeons and Dragons. His description got me so excited about it that we would spend recess every day running around pretending to be wizards and warriors fighting a horde of imaginary monsters. Those childhood experiences set me on a path that shaped my life and love of gaming for years to come. Looking back, I realize that these experiences had a profound impact on me that lasts today. Throughout high school RPGs were an escape for a shy nerdy kid from a troubled home. Those weekends and afternoons spent in friend’s basements, crafting elaborate stories, provided a release for a problematic and tumultuous life. During those years and the ones following high school, RPGs led to fantastic experiences where I bonded with people that I’m still close friends with to this day. As an adult, I don’t play RPGs as much as I used to. I’m more of a board game guy now, but this wouldn’t be the case without my background in role playing games. The inspiration that these games have provided throughout my life have led to lasting friendships, a voracious love of reading, and even in me writing for this site. If you’ve never played an RPG, I highly recommend you try one. There’s a reason RPGs have been around for almost 50 years now. They let you sculpt incredible worlds, become people you’d never be in your real life, and have shared experiences that are beyond memorable. I won’t say that everyone will have the same powerful experiences I have with these games, but there’s a good chance you will have a great time.